Editors’ note: This is cross-posted from the Judicial Power Project website and forms the main part of a short paper published today by the Project. Oral argument in the Brexit Case in the Administrative Court last week left an easy case looking a bit difficult. It allowed Lord Pannick QC, for the lead claimant, to reiterate a couple of dozen times in his Reply, unchallenged, the glaringly fallacious syllogism on which he has rested the claim: (1) statutory rights enacted by Parliament cannot be destroyed (removed, defeated, etc.) by executive action without Parliamentary statute [or authorization]; (2) the myriad rights acquired by UK persons under the Treaties given effect in the UK by s. 2(1) ECA 1972 are statutory rights enacted by Parliament; (3) therefore no executive action can be taken to terminate the UK’s adherence to those Treaties without authorization by statute [or other parliamentary authorization]. But rights acquired by virtue of s. 2(1) ECA are not “statutory rights enacted by Parliament”. They are rights under the treaty law we call EU law, as it stands “from time to time”. They are thus subjected to alteration by decisions made in the international realm by EU or EU-related bodies and processes, in which the Crown participates by exercise of its prerogative, for the most part without restraint or pre-authorization by Parliament, let alone by statute. So there are two necessary conditions for the existence, effect and operation of these treaty-based UK rights as rights – yes, “statutory rights” – in UK law. One is that they be rights from time to time created or arising by or under the Treaties. The other is the silent operation of s. 2(1) ECA. The latter necessary condition does not suffice to sustain them as treaty-based UK statutory rights if they cease to be in effect in or under the Treaties, by virtue of something done to or under the Treaties –- often something done entirely without pre-authorization, or indeed any authorization, by the UK Parliament. These treaty-based UK rights for which s. 2(1) ECA is a necessary condition are closely analogous to the treaty-based UK rights acquired under double-tax treaties, treaties given statutory effect in UK law as they have international effect from time to time. The analogy was approached in oral argument for the Government by James Eadie QC and in reply by Lord Pannick, and was left in some obscurity, an obscurity the latter had no incentive to dispel. What precisely is it? ECA 1972 s. 2(1) gives effect in UK law to “all such rights… from time to time created or arising by or under the Treaties…”. The Taxation (International and Other Provisions) Act [TIOPA] 2010 s. 2 (just like its substantially identical antecedents in 1988, 1970, 1952 and beyond) gives effect “despite anything in any enactment”, to any double tax treaty about which an Order in Council has declared (a) that the treaty makes arrangements for affording relief from double taxation and (b) “that it is expedient that those arrangements should have effect”. The rights created by each of these two Acts are statutory in the broad sense that, in each case s. 2 of the statute is a necessary condition (one of two necessary conditions) for the rights’ legal efficacy in the UK, but they are non-statutory in the precise sense that Parliament has not enacted them, and in many, most or all cases has given them efficacy contingently on their coming into effect and remaining in effect “from time to time” as treaty-based UK rights. What does this mean? It means that the content of the rights – the treaty-based UK rights – can be changed, and the rights even eliminated (destroyed, to use Lord Pannick’s favoured term) without the slightest intervention by Parliament, let alone a statute. If Russia terminates the UK-Russia double tax agreement, the rights are destroyed. If the UK exercises its same power, under art. 29 of the UK-Russia double tax agreement, to terminate the agreement by 6 months’ notice given “through diplomatic channels”, the treaty is terminated and the arrangements it had made for avoiding double taxation of Russian and UK residents cease to be in effect, both internationally and as a matter of the UK law in and under ss. 2 and 6 of the 2010 Act. The rights that had existed under UK law – rights of great importance to all persons concerned – are destroyed. Yet no one would or could plausibly suggest that a statute is required to authorize the UK Government to terminate the UK-Russia double tax treaty or any of the other similar treaties (about 140 of them). This all makes obvious the radical ambiguity of steps (1) and (2) in Lord Pannick’s syllogism. Treaty-based rights are statutory in that they depend for their effect in UK law on Parliamentary enactment; but they are not statutory inasmuch as they are not themselves enacted by Parliament and can be terminated (“destroyed”) by termination of treaties in the course of the Crown’s dealings with foreign entities or states. Such termination fully respects the Case of Proclamations, the Bill of Rights prohibition and annulling of executive dispensation from or suspension of statutes, and any other established constitutional principle. Steps (2) and (3) of the syllogism are false. Parliament has had sight of the termination provision (escape clause) present in all our double tax treaties, each treaty being scheduled to its country-specific Order in Council, laid in draft before the Commons (as required by s. 5(2) TIOPA) prior to that House’s address to Her Majesty to make the Order and thus bring into effect the international arrangement and the treaty-based UK rights thereby arising. Parliament has taken no steps to restrain or impose conditions on the simple, one-step diplomatic action sufficient to terminate the agreement, notwithstanding the great impact of such action on those “statutory rights”. Similarly, Parliament had sight of art. 50 TEU when by statute (s 2 European Union (Amendment) Act 2008) it added the Lisbon Treaty to the list of Treaties in s. 1 ECA 1972. In adding that Treaty it made various important exceptions and also made provisions about the use of UK executive powers in the conduct of EU affairs. But it did not except or make any other provisions about art. 50, either then or in the European Union Act 2011 which extended the restrictions imposed by Parliament in 2008 on UK ministerial actions capable of extending or altering EU treaty-based UK rights overriding common law and statutory rights of the kind that are genuinely the result of Parliamentary enactment. Parliament ratified art. 50, the new escape clause for unilaterally terminating the effect of the Treaties in a Member State. How was this left in obscurity in court last week? After all, some of the main points made above, about double tax agreements, had been stated briefly in paras. 36-37 of the Government’s Skeleton. But when asked about the relevance of the double tax treaties, counsel said nothing about either the close parallel between s. 2 ECA and s. 2 TIOPA, or the termination provisions in double tax agreements. Instead he talked about Parliament’s (more properly, the lower House’s) involvement in renewal or replacement of renegotiated tax treaties. The true relevance of the double tax treaties to the subject of this litigation thus disappeared from view. It was not brought back into the picture, whether by judicial questioning then nor by Lord Pannick in reply. He was doubtless grateful for the consequent non-appearance of the illuminating analogy – an analogy that had only to appear in focus for his step (1) to collapse, and with it his entire syllogism. He had in any case the delicate task, at that moment, of treating the approval of a draft Order in Council by one House as equivalent to a statute (so as to sustain his doubly extravagant claim that only a statute suffices to introduce “statutory rights” and only a statute suffices to destroy them). The Court did not disturb him in his legerdemain at this point. The entire discussion of double tax treaties between him and Sales LJ at 3: 78-80 is focused on the conditions for their ratification and for the changes in UK primary legislation and rights consequent on a treaty’s being given effect. A treaty’s termination without replacement – the entire analogy with Brexit – remained (it seems) entirely unmentioned! In sum: Lord Pannick’s first premise, his grand constitutional principle, is falsified, in its ambiguous over-breadth, by the absurdity of maintaining that the UK cannot simply terminate a double tax agreement by executive action under the treaty’s termination provision, independently of any parliamentary action let alone a statute. The symmetry between creation and termination of treaty-based UK rights, assumed by Lord Pannick and asserted by Helen Mountfield QC for some interested parties, is falsified by the simple fact that, just as Parliament need have no role in the making of the treaties without which it cannot act to create treaty-based UK rights, so it need have no role in the unmaking of treaties whose unmaking, without more, pro tanto terminates such rights. But what if the Government decided to terminate not just one or a few double-tax agreements, but all of them? Would that require pre-approval by a statute? No constitutional principle requires it. What about Lord Pannick’s fall-back, “Parliamentary pre-approval [short of a statute]”? He interpreted that, as we have seen, to include approval by one House of an Order in Council. On this sub-statutory spectrum of sufficient and allegedly necessary approval why not include a dedicated Act of Parliament for staging under Parliamentary supervision a national referendum on the question “Should the UK remain party to or terminate its existing double tax agreements?”, ministers’ Second Reading speeches assuring both Houses that the intent was to let the people, and not Parliament, decide the fate of all existing double tax agreements (and incidentally securing at each stage of the Bill majorities of over 5 to 1, with never a suggestion by anyone that Parliamentary pre-approval of the terminations would be required after the referendum’s approval of such termination)? Inviting a court to draw a line on this spectrum is inviting it not to apply but to invent constitutional principle. In considering the significance of Parliament’s decision not to include art. 50 notifications within the scope of its imposition (in 2008 and 2011) of Parliamentary preconditions to executive action capable of affecting treaty-based UK rights, – preconditions of a kind that goes back at least as far as s. 6 European Parliamentary Elections Act 1978) – it is worth considering some of the import of art. 50 as a whole. Art. 50 obviously provides a mechanism for the dissolution of the entire EU, or for the withdrawal from it of any number of member states. All that is required is a set of perhaps coordinated or more or less coincident notifications under art. 50(2), followed as promptly as desired by a corresponding set of withdrawal agreements each given qualified majority approval by the European Council under art. 50(2) and taking immediate effect under art. 50(3). The UK could (within a few weeks of the start of such a dissolution) be left as the only member of the EU, all without the slightest Parliamentary involvement, and with or without UK Government approval in the Council of any of these agreements. It is absurd to suggest that the UK Government would need statutory approval to make an art. 50(2) notification to and agreement with the rump European Council of which our Prime Minister was now the only voting member – so as to terminate the UK’s relationship with the EU and with it our obligation to pay in perpetuity the salaries of that Council’s two non-voting members (not to mention all the other running costs of the EU) and to terminate – destroy – the “constitutional” EU-based “statutory rights” of UK persons under s. 2(1) ECA. This argument strikes me as specious. Double tax treaties do not seem comparable to rights bestowed through an agreement that enables the following: 1. individuals have enforceable rights through to a supernational court that has enforceable jurisdiction (without further appeal) over the arbitary actions of the EU member states; 2. those rights reside in an order of law unique on the planet (as far as I know) by creating a completely new legal order that member states have ceded a “degree” of sovereignty to, and 3. this new legal order has constitutional implications for the member states, beyond that of mere treaties (and certainly tax treaties). I suggest that the UK’s constitutional order has been altered by membership in the EU. I would draw a parallel with the US states rights and the Civil War; before the War, the terms was “the United States are…” while after the Civil War the term was “the United States is…”. I think the EU has become an ‘is’ and the UK is suitably constrained constitutionally by that, despite trying to squirm its way out of its obligations to its citizens and the wider EU governance ontology. The UK has for a thousand years avoided a formal constitutional order that would bind Parliament. That rights can have such ephemeral character guts them of their meaning and is why constitutional orders come into existence and partly to act as a protection against authoritarians acting in the name of democracy. That is also why the constitutional structure of the UK has been restructured by the membership in the EU. Individuals in the UK now have resource to oppose the authoritarian actions of governments that infringe those rights, something in the UK that is disliked. Why is there such logic-chopping to arrive at a position that the UK can willy-nilly alter the enforceable rights of citizens? I suggest the EU rights have been erroneously classified in their various Categories by ignoring the constitutional nature of the EU itself. An example. Presumabley, Parliament can abolish universal suffrage, and return it to male landowners alone, or perhaps through the dictatorship bestowed by royal prerogative. How is that different from abolishing the suffrage of European Parliamentary elections? Citizens are denied a powerful right, to elect representatives, to balance the power against crusading authoritarians (governments acting in haste such as the UK is doing now). The US revolution was based on such considerations. Hardly minor rights. By royal prerogative, the PM could have got up on any given day in the past and simply invoked Article 50 on a whim (a referendum gives an excuse, but is not a reason). Surely this is absurd. I suspect that the EU membership has made the royal prerogative unconstitutional in this respect. The last point is the most telling. It was only once addressed in the Second claimant’s skeleton and then once in the replies. There is still one knockout blow which everyone is ignoring, and that is the failure to seek or obtain Queen’s Consent before the 2nd reading of the Referendum Bill. The same is true of the 1975 bill. The referendums have only ever been advisory. The Office of the Parliamentary Counsel pamphlet clearly explains the point about Queen’s or Prince’s consent being required, otherwise the Bill would have been void if it was intended to actually affect anything – other than opinion. The word “sloppy” comes to mind. What otherwise might be legislation made in haste. A indicator of authoritarians at work. The advcisory nature of the Referendum Bill was set out in the HC briefing paper at the time…. the EU treaties and incorporation of laws effects the UK by subrogating UK constitutional arrangements not simply for residents but in respect of the devolution agreements – especially the NI/Eire agreements….. The EU arrangements subrogate UK arrangements not only for residents but also in respect of the devolution agreements especially NI/Eire. Has TM simply given the 3 clowns room to hang themselves? It seems rather paradoxical to say that EU-based treaty rights can be eroded, repealed or destroyed by the prerogative powers of the Executive, despite these EU-based rights having been incorporated through a statute, namely the European Communities Act 1972. One could argue that through this process of “constitutionalisation” or “indigenisation”, these originally EU-derived treaty rights are now UK rights available to all residents in the United Kingdom. What were once categorised as “EU-based treaty rights” have been transformed into “UK rights” enforceable in the local courts through the constitutional ECA 1972. It was the Executive that conferred Parliament with the choice of incorporation (thus limiting some of its powers), whereby Parliament voluntarily ceded some of its sovereignty to the EU system of governance. That decision therefore necessarily restrains the Executive. It is correct to say that the Executive has treaty-making or unmaking powers, but not that it can unilaterally remove the obligations deriving from those treaties where those obligations have been transformed into enforceable provisions in the domestic legal order. In the same way, if the Executive decided tomorrow to withdraw from the European Convention on Human Rights, the original “treaty-based rights” would not cease to exist precisely because the same rights have been incorporated or given effect to in national law through the Human Rights Act 1998. The nature of the original rights have changed; they are no longer purely treaty-based rights, but rather have become part and parcel of our domestic and constitutional rights, whether that is through legislation or the common law. The general point of “foreign transposition ” which is not within Parliament’s gift has been noted in the proceedings. In addition the point that the right to live in France is not conferred by the ECA but by French legislation. This analysis ably supports the general principle that the Court will need to take into account, I.e. An Ariticle 50 notice, or leaving the EU, does not take away such rights. It may be a justifiable assumption that these rights could be removed by the actions of other Member states, but it is by no means a certainty. The key point of the court case now seems to be whether there has been a decision to leave the EU. Article 50 is merely the notification of that decision. Article 50 is therefore just a mechanism. Is the referendum a decision ? If not who had made the decision ? Those are the real questions. I agree. The notification is not the critical issue. There has, first of all, to be a decision to leave. As has been pointed out the PM could exercise royal prerogative and give notice on a whim (some might think the decision to call a referendum little better than a whim). The referendum is not a decision that has binding status; that possibility was avoided. So, in the absence of a binding referendum no decision has yet been taken. Surely that is a decision for Parliament. Has the court been asked to decide on that point? To non-lawyers many of these arguments are, with respect, a bit like debates about how many angels can dance on the head of a pin. What on earth other members of the EU make of our processes one can only speculate. And if the A-G and leading counsel for the government can so easily be duped or beguiled by syllogism it says much about them and these ridiculous contortions. It is not the case that 27 member states have decided to leave the EU, thus depriving us of rights. This will be an act of commission by the UK that one feels ought (such a dangerous word) to be the result of a decision taken by Parliament. Whether the courts feel able to reach such a conclusion in the absence of any attempt by Parliament itself to make this the subject of a motion, which possibility it failed to adopt, remains to be seen. While we may direct criticism at the government for its decision that it alone can decide on article 50, we might wonder at the pusillanimity of Parliament. I agree. How was a “decision” made in accordance with the British constitution which sets up Parliament as sovereign and operates as a representative democracy. A clear explanation of that is surely required. Once a decision has been made in accordance with constitutional requirements then it seems to me to be rather unimportant who sends a notice to the EU. Larry the Cat could do it. The key thing is the decision and how it was made. Professor Finnis’ argument is well written and makes for interesting reading. But it appears to rest on a foundation which is highly doubtful in its pure assertion, namely that bilateral ‘double taxation agreements’ (and the alleged ‘rights’ that they confer, once enacted into English law) are very closely analagous to multilateral European treaties (and the ‘rights’ that they confer, once enacted into English law). On superficial analysis, at least, the two things seem more different than analogous. Leaving aside the difference between bilateralism and multilateralism, there is the fact that a considerable body of European law has been locally enacted into English law, above and beyond the treaty itself; and, perhaps more importantly, that ‘rights’ under double taxation agreements are more akin to ‘modified obligations’ – the local obligation to pay tax (imposed by authority of Parliament) still exists, but its effect is mitigated given the fact (recognised by Government) that there might be an obligation to pay a similar tax elsewhere. If the Government revoked a double taxation agreement by Royal Prerogative, it would not remove any rights of the sort associated with European Union membership: it would simply restore the taxpayer to its original obligation of paying UK tax without credit for tax paid or payable elsewhere. Finis is obviously right. Those who disagree need to explain. 2. How art 50 is not itself part of EU law. 3. How changes to the rights etc applicable under EU law are not given effect in UK law by s 2(1)? The correct solution, that of Finnis above, is only given in the government’s skeleton at paras 36-37, and disappears almost completely in oral argument. The ECA 1972 is considered to be a constitutional statute by the courts (see the thoburn and HS2 cases), in addition there are the comments of Lord Atkinson in Attorney-General Appellant v De Keyser’s Royal Hotel  A.C. 508. about how once a treaty is incorporated into domestic law by statute the executive are limited in what they are able to do. There was nothing in the referendum Act that gave the Government any power to initiate ‘Brexit’, it simply allowed for an advisory referendum. Our form of government follows the Dicean doctrine of Parliamentary Sovereignty/Supremacy, therefore the Government would be acting Ultra Vires were they to actually try and trigger Brexit without the authorisation of Parliament. Finnis makes no mention of any of this which shows either his knowledge is sadly lacking or he is promoting a particular subjective viewpoint. Luckily the Supreme Court Justices seem to know what they are doing so when it gets to there we will get a definitive answer. None of this is on point. The entire point of Finnis’ post is that it will be the European Communities Act 1972 *itself* that will give effect in UK domestic law to EU law ceasing to apply following Art 50. The reason Finnis makes no mention of the other points you make is simple. They are of no relevance whatsoever. It is all on point, you really need to update your knowledge and understanding of constitutional law. EU law is not only part of UK domestic law because of the ECA 1972, It is also part of the Scotland Act 1998 (another of Laws LJ’s constitutional statutes) and the statutes that created the other devolved Governments. Yes! I expected this to be much more of a point in the recent case? Is A50 & EU treaties / laws not now entrenched so that parliament has be subrogated to these provisions? Yes… and only parliament can change this… not the executive. I do find it interesting that such an ‘esteemed’ academic makes no comment in relation to either Laws LJ’s comments on constitutional statutes in Thoburn v Sunderland City Council  EWHC 195 (Admin) nor the Supreme Courts comments in R (HS2 Action Alliance Ltd) v Secretary of State for Transport  UKSC 3; both of which support Mr Pannicks position. If I were of a suspicious mind I might suggest this is not the most objective article on this subject. But then I am but a lowly Undergraduate Student (all be it one who has almost a decade of practice under my belt as a Home Office Lawyer) so what do I know? It does feel that many people are harkening back to the glory days of the empire and Hobbesian social/legal theories. Yes…and they ignore the fact that despite the theory in reality Brexit is pretty much impossible to implement anyhow…not least by politicians. Can we reinstate the age of Steam by Royal prerogative please… and whilst you are at it how about the Jazz Age. How long do we wait. ANY IDEA OF THE STATE OF THE NI CASE? The great thing about article 50 is that if the government do go ahead and try to use article 50 without the approval of parliament and the Supreme Court has the courage to slap them down and emphasise the doctrine of Parliamentary sovereignty. All this shows for me is that our current form of government which might have worked back as a compromise in Cromwell’s time is no longer fit for purpose and we need to reform wholly the anachronistic institution that is Westminster that allows for us to have an elected dictatorship. Kay: might the electoral system and the operation of the devolved Scottish Parliament provide a path for the re-establishment of Parliamentary sovereignty at Westminster? I am personally uncomfortable with the idea of parliament sovereignty and think that following Scotland’s example of being a genuine constitutional democracy (the Scotland act being our constitution) providing for genuine judicial oversight is the way ahead. Professor Finnis’s analysis surely must be right: EU law rights are not ‘statutory rights’, they are treaty rights that statute says are valid and effective in the UK. A bit of formalism like that might go a long way in helping to simplify the question the court is confronted with. However, and purely as a matter of legislative technique, the analogy with double-taxation treaties does not seem to me to be the right one. Section 2 TIOPA 2010 does not declare all double-taxation treaties to be valid and effective in UK law whatever they are and however they may change from time to time. Rather, it provides for a mechanism to incorporate double-taxation treaties one-by-one. That mechanism is an Order in Council, a draft of which has to be approved by the House of Commons, section 5(2) TIOPA 2010. So even if the government were to terminate the double-taxation treaty with Russia, that would not change anyone’s rights in the UK as long as the corresponding incorporation order was still in force: citizens could still insist on the application of the (ex-)treaty’s provisions. Or, the other way around, the government could cancel the order but leave in place the treaty. In the latter case, the House of Commons would have to agree by resolution. All of this is markedly different from the situation under section 2 ECA, is it not? Professor Finnis is completely wrong. EU laws are statutory right becasue they have been given effect by UK statutes, they were not until the ECA 1972 when Parliament delegated some of its authority to the EU. The same happened with the ECHR in 1998. He really needs to go and take a basic Constitutional Law class as any of the 18/19 yr olds studying law at University in the UK should be able to tell him this. Finnis simply ignores relevant authority, namely R v Secretary of State for Foreign and Commonwealth Affairs ex parte Rees-Mogg  2 WLR 11. 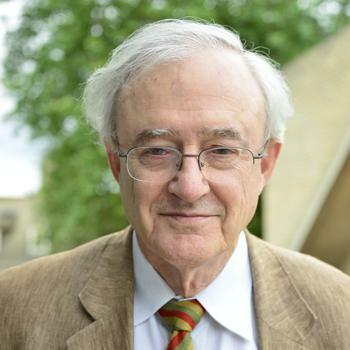 The interesting way Lord Pannick QC has conceptualized Miller’s case raises the question of whether Rees-Mogg needs to be reconsidered: as a question of domestic jurisdiction to legislate delegated to Ministers to give them competence at international level to legislate which creates domestic effect. “An Act to make provision in connection with the enlargement of the European Communities to include the United Kingdom, together with (for certain purposes) the Channel Islands, the Isle of Man and Gibraltar”? Finnis’s argument is that because action taken by the government on the international plane can destroy the existence of obligations which are given force in English law by a statute, there is no need for the government to involve Parliament in the decision to pursue that destruction. But that is surely to beg the question? At last, proper use of the expression ‘to beg the question’! This is an even more fundamental objection than Kieron Beal QC’s elegant analysis that one of the two premises on which Professor Finnis’s argument rests is “fallacious” on substantive grounds on statutory construction. When cast as an Aristotelian syllogism, the form of the argument can be seen to be circular. The argument is in syllogistic form the fallacy known as a petitio principii. This entry was posted on October 26, 2016 by Constitutional Law Group in Administrative law, Judicial review, UK government, UK Parliament and tagged acquired rights, Article 50 TEU, Brexit, European Communities Act 1972, Judicial Power Project, statutory rights and prerogative, UK EU Referendum.